A collection of 13 (+ 1) loopable songs that evoke the mythical age of swords and magic. Styles focus on Ye Olde England, times of legend, heroic knights, etc. All contents are copyright-free and you can use them freely for your purpose. 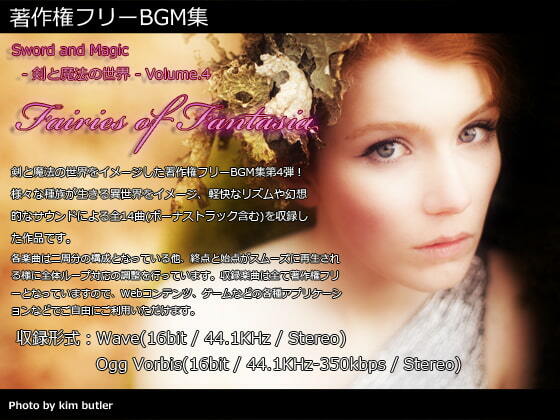 In Wave (16bit/44.1KHz) and Ogg Vorbis (16bit/44.1KHz - 350kbps) formats.